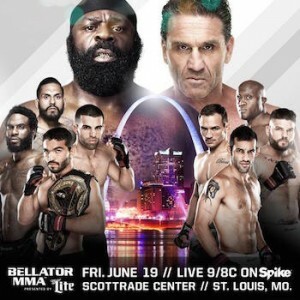 Bellator will return Friday night as the promotion will be at the Scottrade Center in St. Louis, Missouri and the event will be headlined by a heavyweight bout as Kimbo Slice and Ken Shamrock settle their unfinished business. The fight card will begin at 7 p.m. ET/4 p.m. PT with the online preliminary card and the five fight main card will start at 9 p.m. ET/6 p.m. PT on Spike TV. Along with the heavyweight main event, the main card on Spike TV see a title fight as Patricio “Pitbull” Freire will defend the featherweight title against season ten tournament winner Daniel Weichel. Check out a breakdown of the five fights that will be on the main card broadcast on Spike TV on Friday night. When Slice steps into the Bellator cage on Friday night, it will have been 1868 days ago that his last MMA fight took place (UFC 113 vs. Matt Mitrione) and 2449 days since he was initially scheduled to face Ken Shamrock at Elite XC: Heat. 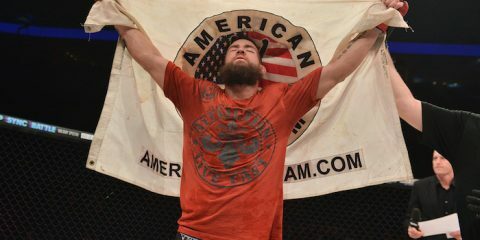 He will be looking for his fifth MMA win and his last MMA win came in 2009 against Houston Alexander. Opened his MMA career with three straight wins by stoppage. Holds a TKO win over current Bellator heavyweight James Thompson. 7-0 in boxing and six of those wins are by TKO/KO. Just like Slice, it has been a long time since we have seen Shamrock step into a MMA cage. His last MMA fight came 1667 days ago when he lost to Mike Bourke by TKO due to suffering a leg injury in the fight and he is 2-2 in his last four MMA fights. Made his professional MMA debut in 1993 and is a member of the UFC Hall of Fame. 42 of his 45 MMA fights have ended in the first round. Pitbull became the Bellator featherweight champion last year when he defeated Pat Curran by unanimous decision at Bellator 123. He is coming off a successful title defense in January against former champion Daniel Straus and he will be looking for his seventh straight win. The victory over Straus at Bellator 132 is the 3rd latest stoppage in Bellator title fight history (4th, 4:49). His six straight wins is the longest active winning streak in the Bellator featherweight division. 2nd most wins in Bellator history and can tie Alexander Shlemenko for most wins with a victory. Holds Bellator record for most TKO/KO wins in Bellator featherweight division history and tied for 4th most overall. Weichel entered Bellator last year and was immediately placed into the Season Ten Featherweight Tournament. He would score victories over Scott Cleve, Matt Bessette, and Desmond Green to win that tournament to secure a title shot in the 145 pound division. 2nd longest active winning streak in the Bellator featherweight division. Enters this fight following a split decision victory over Curran in February. Currently on a seven fight winning streak and five of those wins have come by submission. Tied with multiple fighters including Pitbull for the 2nd most submissions in Bellator featherweight division history. Lashley is returning from injury and was initially scheduled to face James Thompson in a rematch. However, Thompson pulled out of the bout with an injury and Lashley will be looking to improve to 3-0 in Bellator against Charles. Both of his wins in Bellator are by submission and he is tied with several fighters for the 2nd most submission victories in Bellator heavyweight division history. Currently on a five fight winning streak and four of those wins have come by submission. 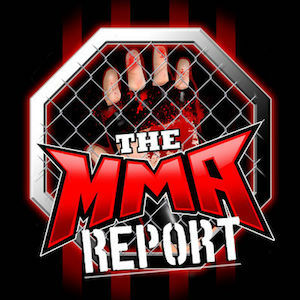 Has submission wins have come by guillotine choke, punches, americana, and rear-naked choke. Charles initially made his Bellator debut in 2013 and dropped his debut against Mighty Mo. After losing a fight outside of the promotion, he returned last year and he has won back to back fights in the Bellator cage. Started his career 7-0 before signing with Bellator. Seven wins by finish and five of those are by TKO/KO. Four wins in under 90 seconds. Straus enters Bellator 138 following a submission defeat in January to Pitbull and he is 1-2 in his last three fights. He is one of the most successful featherweights in Bellator history and a win over Corrales will put him right back in the mix for another shot at the title. Straus holds the 5th fastest TKO/KO win in Bellator featherweight division history as he stopped Justin Wilcox in 50 seconds at Bellator 127. Currently tied for 2nd most wins in Bellator featherweight division history with Marlon Sandro. Has the 3rd most cage time in Bellator history. Tied for 2nd most submission wins in Bellator featherweight competition. Corrales was signed by Bellator earlier this year after being a champion in the King of the Cage promotion. His last four victories have come by stoppage and his last win came in March against Aaron Neveu. Ten wins by stoppage (4 TKO/KO, 6 Submissions). Submission wins have come by rear-naked choke, armbar, guillotine choke, and kimura. Nine of his fights have ended in the first or second round. For the first time since 2012, Chandler will be stepping into the cage for a scheduled three round bout. His last five fights have been title fights and he will be looking to snap a three fight losing streak against Campos. Holds the 2nd fastest submission victory in Bellator welterweight division history with his 57 second guillotine choke win against Chris Page at Bellator 32. His 44 second win over David Rickels at Bellator 97 is the 2nd fastest finish in Bellator title fight history. Defeated Eddie Alvarez at Bellator 58 to become the lightweight champion and this is the 5th latest stoppage in Bellator title fight history. Currently tied with Alvarez and Will Brooks for the 2nd most wins in Bellator lightweight division history. Campos enters this fight with six wins in his last seven fights and his last four wins have come in Bellator. His most recent fight came in September as he defeated Estevan Payan by knockout at Bellator 126. The victory over Payan is tied for the 2nd fastest TKO/KO victory in Bellator lightweight division history. Season Ten Lightweight Tournament semifinalist. Nine wins by stoppage (4 TKO/KO, 5 Submissions).